We did attempt to drive up to Mt Wellington overlooking Hobart, but the clouds were too low. 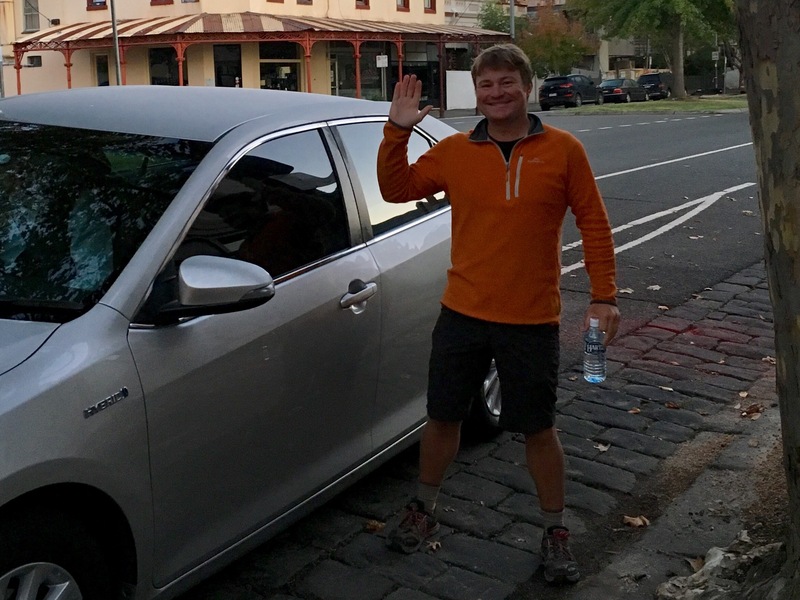 I really enjoyed Hobart, and it was the perfect home base for us between trips. 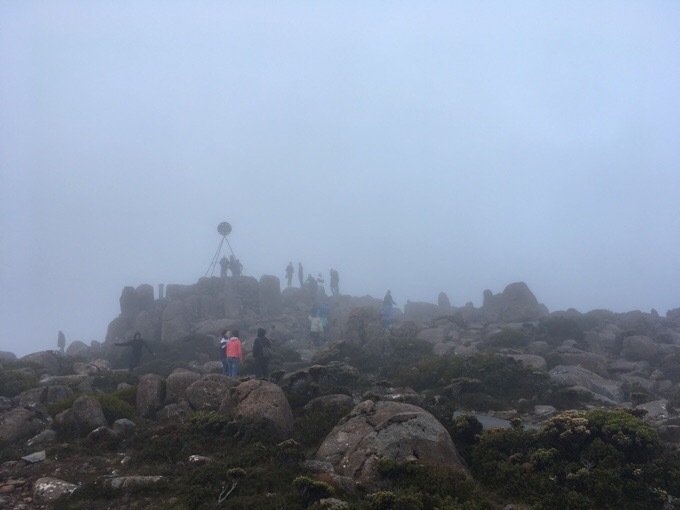 A fogged in Mt Wellington. The next day we flew to Melbourne. 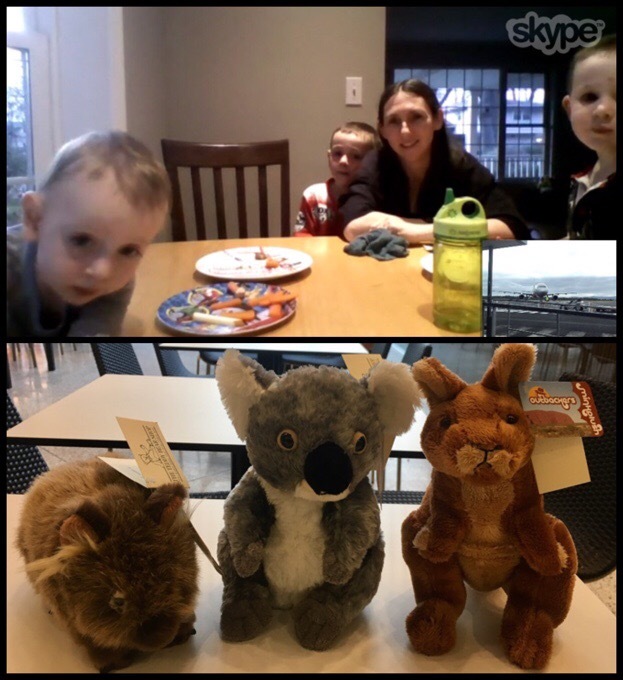 My nephews, who are obsessed with any type of vehicle were excited to see my plane as we Skyped from the airport. I got each of them a little stuffed animal from Australia that is oh so soft and I can’t wait for them to get them. Usually, I visit them in Chicago immediately after my travels, but this time, I’ll be waiting until Memorial Weekend which isn’t too much further away. Melbourne is quite the major busy city! We were there for two days, and it was really busy and overwhelming. We did walk around a lot, but didn’t do any major touristy thing other than eat. 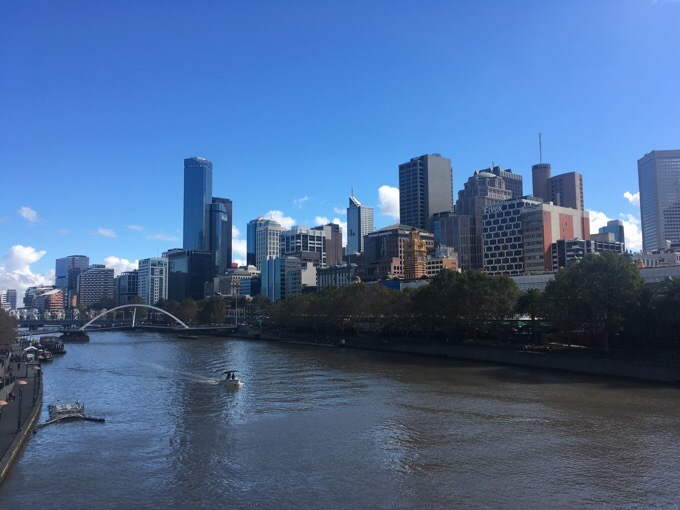 Melbourne from the south bank of the Yarra River. 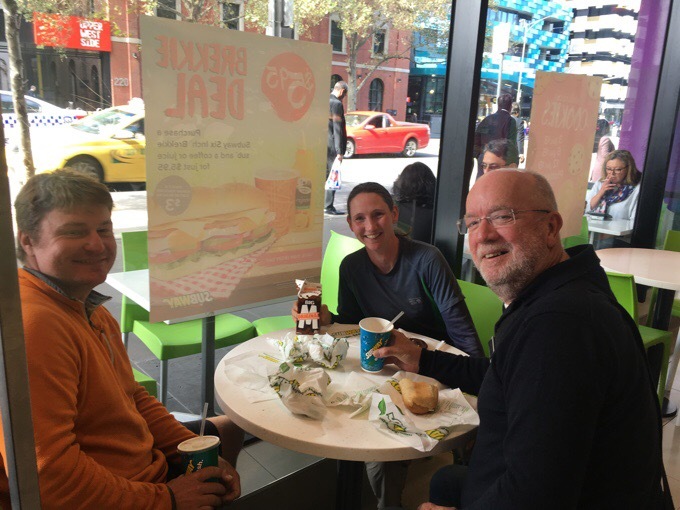 Our stay in Melbourne was made quite special as we were hosted by Gary, a very kind blog follower. We hit it off quite well, and it was nice to have a place to relax and decompress. THANK YOU Gary for being such a welcoming host! On the day we each flew out, Griggs had a morning flight, and mine was later in the day. Griggs has just a few weeks before he starts the Continental Divide Trail. He will visit family in LA and then back on the east coast before starting May 5th. Here he is bright and early as he gets his Uber to the airport. Farewell to Griggs! Again, I wouldn’t be surprised if we pair up again in the future. It was a great pairing and I am excited to follow his CDT hike on Instagram. 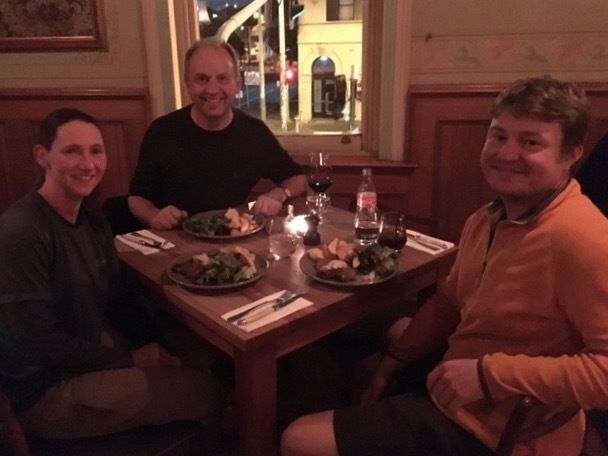 Finally, I had one last Australian meal with fellow TA hiker Sofie, who I overlapped some with and is now living in Melbourne and her friend Ana. 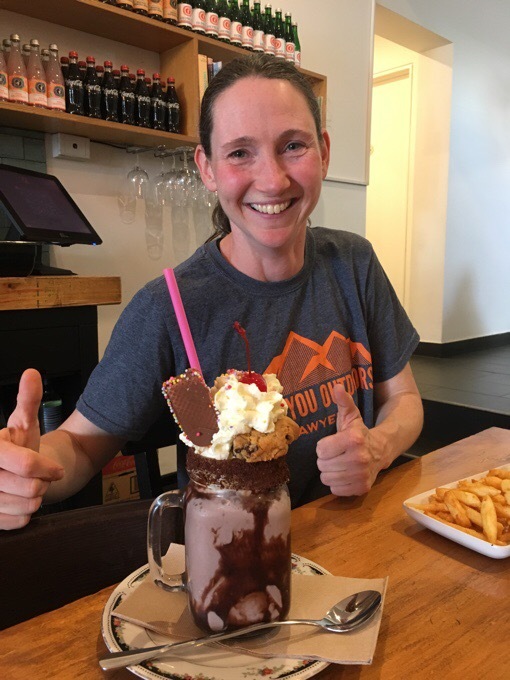 I had to make this last meal a celebratory one and got an indulgent milkshake. Now that’s how you end a trip! Great to see you again Sofie!!! 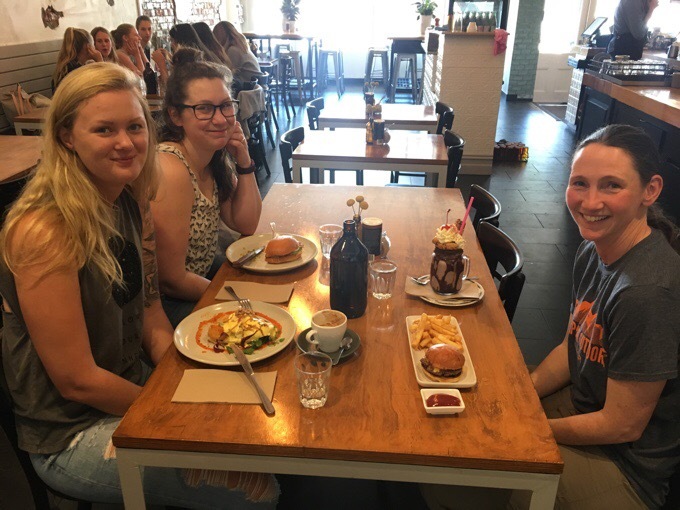 A final Australian meal with Sofie and Ana. Now THAT’S how to end a trip! I am now posting this from the Melbourne airport, and will be HOME in 24 hrs. I’m quite giddy to return, relax, get back to work (sub teaching), and reconnect with my Portland community. I have plenty of Downton Abbey episodes loaded for the flight and Oreos, so I’m all set:) Again, my plan once returning home is to work for the next two months to finish out this school year, and then I will head to Europe (for the first time!) to do the Pyrenees High Route for 1.5 months and visit some places out there. I’m really excited about that route! congrats and thanks for sharing your adventures. And so your Great Southern adventures come to a close. Thank you for sharing. It’s been really great to follow your progress. Time to rest, work and dream of new places and trails. Europe next! I found this blog some time back and remember thinking, wow, what an amazing place Slovenia would be to explore on foot. Check out the spectacular landscapes of this trip. Maybe there is something there for Wired? Thanks for sharing your amazing journey! Enjoy your down time. Europe will be fantastic-try to get to the Dolomites in northern Italy if you have time. Amazing scenery and a huge network of trails. If you ever head to NZ again there’s always a bed for you here! Kia kaha. I was actually going to look into timing and such to see if I could add on the Dolomites this summer! Thanks for sharing your journey. I’ve enjoyed reading your blog. 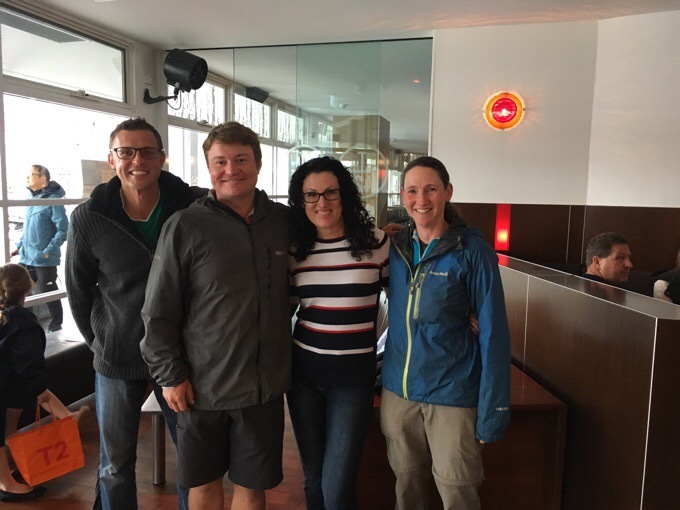 What a blast to see more of Australia and New Zealand through your backpacking journey! Thank you for the pleasure of taking me with you virtually yet again. OMG! They are going to LOVE those animals!!! Hope you aren’t flying Spirit and have to squeeze them in your carry-on! Congratulation on completing an amazing 9 months of trekking. I will miss reading your blog each morning. I appreciate all the time and effort it takes to write a blog daily over such a long period of time. Thank you! Also consider hiking the Dolomites in northern Italy when you are in Europe. They are phenomenal! Thank you for such an exciting journey, Erin. We cannot express how grateful we are that you take us on your adventures at a great cost to you in time, sleep and sanity. We are so glad that you are WIRED!! What an adventure. First of all for you of course but also for those of us tagging along via your blog. Enjoy your down time and get caught up on all that is calling to you. Until the next adventure! I’ll be looking forward to my email link each morning and reading it while I drink my coffee. Fair winds and following seas! Welcome home to the still-rainy Pacific NW, Erin — but Easter weekend is supposed to be really nice. Please get in touch when you have a moment regarding the Sierra Club program I asked you about. I’ve been following your wonderful blog for the past 9.5 months of your hiking. It has been great. The photos are fabulous and your writing is vivid- I can feel that ankle deep mud and see the incredible views. Thank you very much for taking the time to write almost every day. Have a good return home. Welcome back to the same time zone. Enjoy your time off trail. Looking forward to your European adventures to come. Thanks for sharing your walks down under. I’m going to miss starting my day with your posts. Also sorry to have missed you in Tassie. Safe travels; hope it’s not with United Airlines. So this journey ends and we will miss your blogs for sure. Get alot of rest and will be waiting for your next adventure. Will also be following Griggs on his next trek. Thank you so much for sharing your journeys! How can it make me sad that you are on your way home to Oregon? I have to focus on my own journeys now rather than live vicariously! At least hiking season is warming up! Please let me/us know if you are willing to do a presentation in Bend and I will do what I can to make it happen! Thanks for sharing your adventures. You put a lot of time and effort into clear informative writing. I really love your photos and gear information. Time for a rest. Thanks for taking time to post your wonderful blogs. I’ve gone back and read all of them now and I enjoyed every one. The way you write and the beautiful pictures make me feel like I’m right there. Can’t wait for the Europe adventures! Safe travels home. Wired, glad to hear you have safely made it though your tour of hikes. Congrats and welcome back to Oregon. The other day I read a story about a new ice cream company, A La Mode, and it made me think about you. Here is their website – http://www.alamodeshoppe.com/ice-cream/. They have a flavor called “Wired” — it is calling your name. It is coffee with chocolate chips. You need to try this and let us know if you endose your namesake ice cream. Haha, believe it or not, I do my best to stay away from caffeine and have never had coffee. I think it may send me into overdrive. Home at last!!! Can’t believe it is only for two months and you are off and running again. Blessings. I was just thinking that today. It’s going too fast already! And I also avoid caffeine (since I quit Pepsi 5 years ago, never drank coffee). I was right about this year. One person I’m following on PCT saw and photographed THREE rattlesnakes in two days! They have actually been all the way down to the beach in OC. I’m guessing you won’t have to contend with those on your next hike!